krysten is using Smore newsletters to spread the word online. MOVE TO THE NEW ENGLAND COLONIES! You dont wanna miss 4 o'clock tea! Let me tell you a little about the New England Colonies. The New England colonies were among the first settlements in North America.Most of the settlers were from Europe. They were looking for thing to trade for more useful thing. Such as animals and crops. There are several jobs available such as farmer,merchants and landowners. Now your probably wondering hows the government over here. Well, The government is made up of a English legislature and a Bill of Rights. Christianity is the main religion here in the New England colonies.You are required to attend church. Everyone is separated. If you are a women you sit on one side if you are a man you you sit other. 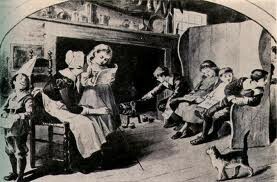 Here in the English colonies we expect children to get a education. When home school parents teach their kids religion and how to read. If you chose to have you kids go to a public school, there is one room for all ages. for rich or for poor we want the children to have a education. Slave were used during the Triangle Trade. 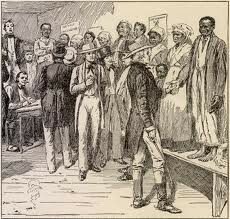 We had used slaves for trading for crops, animals and other resources we would need.